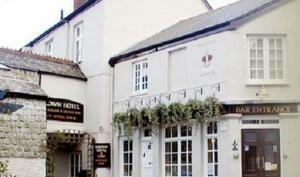 Welcome to our page of bed and breakfast in Lynmouth! Lynmouth is a village resort made popular in Victorian times, hugging the sides of the wooded River Lyn valley, surrounded on each side by high steeply sloping cliffs. White washed cottages line the quay, marked at its seaward end by a "rhenish" tower. The small coastal town of Lynmouth became known throughout the world for the disaster which struck on 15th August 1952. After continuous rain throughout the day, the East and West Lyn Rivers rose suddenly and filled with the waters from their Exmoor catchment. The worst effects were at Lynmouth because the water draining from most of the northern side of Exmoor ends up in the East and West Lyn Rivers, which join at Lynmouth. Lynton and Lynmouth Cliff Railway a unique water powered cliff railway opened in 1890. Two lift cars are connected via a continuous cable. Water discarded from the lower car causes the heavier top car to decend the 500 feet to the Lower Station. An ingenious system ensures the brakes are always applied. If you are in the right town but cannot find the accommodation you want on this page, you might consider Lynmouth hotels. Also see Lynmouth & Lynmouth attractions. Bed and breakfast near Lynmouth. Location: On the outskirts of Lynmouth. 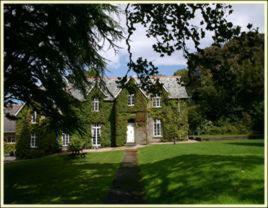 Comfortable 18th century licensed country house on Exmoor. Bed and breakfast near Lynmouth. Location: About 6 miles south of Lynmouth. Farmhouse B&B.